What's in your "data-ing" profile? See anything you like in ours? Does the world really need more business intelligence? If your data is growing bigger, streaming at you faster, or stored in non-traditional sources like Elasticsearch, Hadoop, Snowflake, MemSQL, or SAP HANA (or any combination of the above! ), you need Zoomdata's data visualization platform. Or maybe your data is manageable, but application infrastructure is weighing you down? Or you need a more dynamic, visually engaging, self-service user experience without fussy setup or complex data modeling? Make modern data work by switching to modern BI. You’re probably worried about investing in another business intelligence solution. Not to fear -- Zoomdata is architected to be practically future-proof. It’s built on standard APIs, and our modern microservices infrastructure scales up and out, in the cloud and on-prem, avoids soul-crushing system conflicts, and more. Cool, huh? Zoomdata lets you work with a wide variety of modern data sources to discover insights deep in your data. Zoomdata brings business intelligence and big data to life for your product innovators, problem solvers, executives, and -- you get the idea -- people! 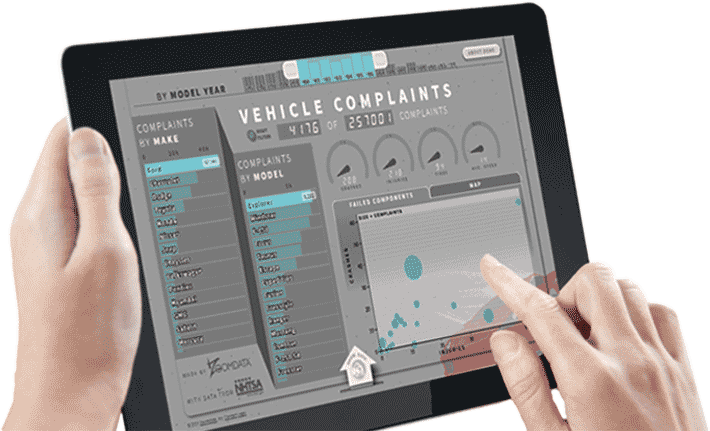 Learn more about our high-performance BI engine and visually engaging, interactive dashboards. Learn about the benefits of dynamic data exploration across multiple sources in this demo-rich analyst briefing with Bloor Group CEO Eric Kavanagh. Watch through to the end, where Zoomdata product experts talk about the modern architecture that make Multisource Many Ways(tm) possible. We couldn’t be more excited to have received a perfect recommend score two years in-a-row! Results are compiled from customer user surveys, and our customers have spoken. Zoomdata delivers lightning fast visual analytics for any data source. Sign up for a live demo to see us in action and have all your questions answered.